A combination of colours, finishes, sizes and patterns are essential when selecting the right look for your home. If you are looking for a warm and inviting aesthetic, timber is always a great option. The natural look and feel taps into our connection to the outdoors, making it feel familiar and welcoming at once. 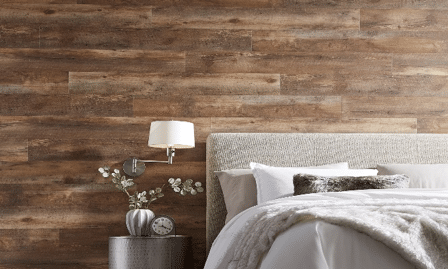 From flooring to feature walls, there are many variations, colours and textures to choose from. 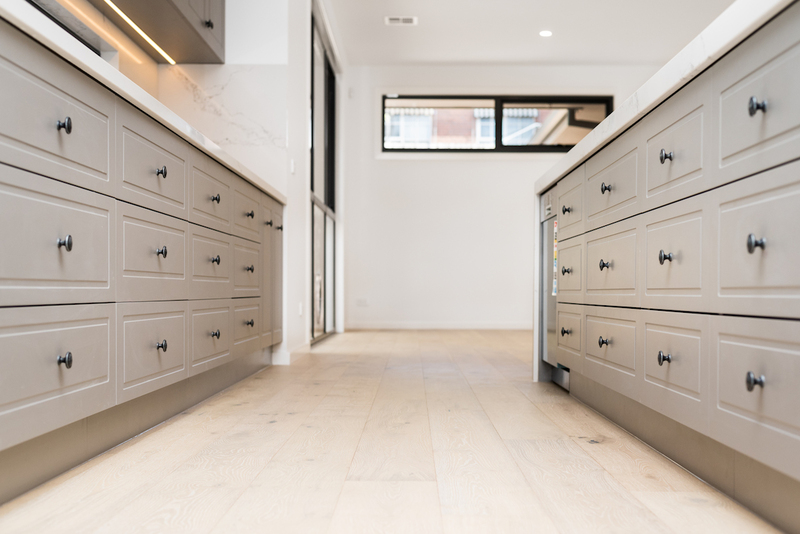 Oak – in 2018, we’ve seen a huge trend towards oak timber, which can create a sophisticated look. Shades of oak range from light tan to dark brown, meaning there’s bound to be a look that suits your space. Timber’s versatility means you can use it on the floor, on the walls, in furniture or as part of a feature piece. 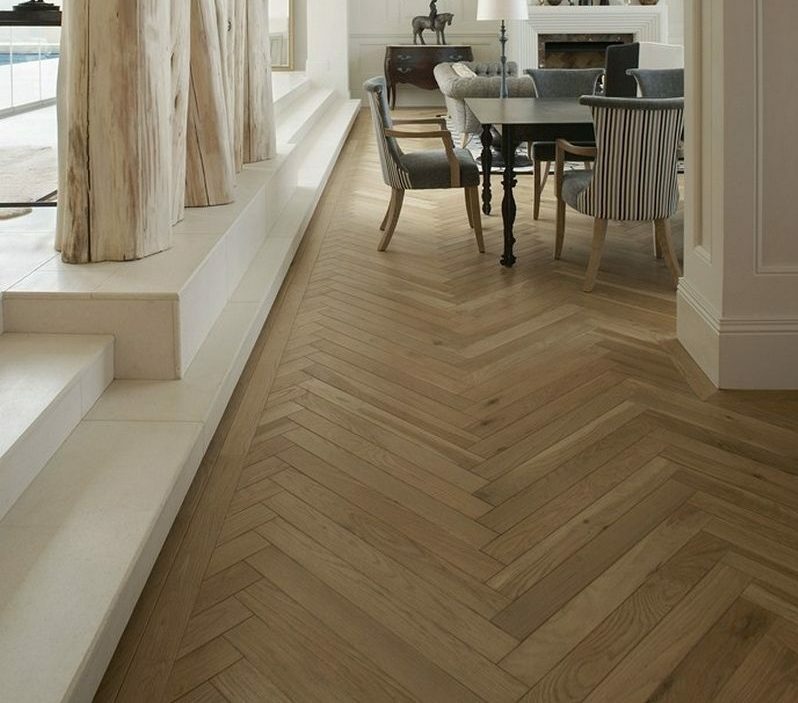 On the floor, the most common pattern is strip, but for a point of difference, you can opt for herringbone or parquetry. Whatever the style, make sure you check the wear rating of the timber you use – different materials have different ratings, so it’s essential you use one that is suitable for the room. For example, a high-traffic lounge room would need to have a higher rating, as it is more susceptible to wear and tear. Timber is also a great addition to your wall design. A textured feature wall can be a great way to feature a recycled product and is a sustainable choice for the environmentally conscious. 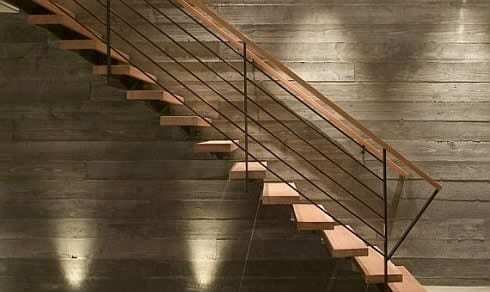 The unique nature of recycled timber means that every plank looks different and by highlighting the flaws, such as nail holes, cracks, saw marks and burns, you’ll receive an incredibly individual design. If you are looking for something less obvious, joinery or furniture can be a great way to integrate timber into your space. From neutral kitchen cabinets to a dark bathroom vanity, it is a great foundation for a range of looks and styles. Timber has stood the test of time as a material that is extremely versatile and can be incorporated into any design style. Get in touch today to see how we can help bring your vision to life. 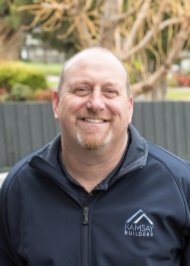 At Ramsay Builders we take pride in creating houses for property-owners who have an eye for style and a love for where they live. To help you with your building journey and keep you close to friends and family we’ve put together the top 6 reasons you should knock down rebuild, Download today .